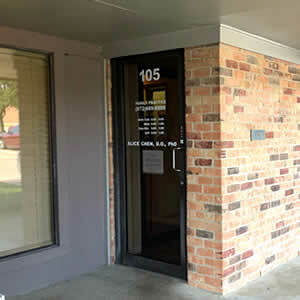 Our clinic was established since April of 1996, since then, we have been serving North Dallas area with high quality of care. Our physicians are board certified in Internal Medicine and Family medicine. Our philosophy is to provide complete health care to our patients and their families. All of our physicians speak at least 2 languages fluently to ensure effective communication with our patients. prostate cancer screening, low testosterone enlarged prostate, prostitis. Dr. Chen completed her undergraduate education from Fu-Jen Catholic University, Taiwan. She earned her Doctor of Philosophy in Molecular and Cell Biology from University of Texas at Dallas. She went on to pursue her Doctor of Osteopathic Medicine at A.T. Still University Kirksville College of Osteopathic Medicine at Kirksville MO. She completed her internship and residency training at Methodist Medical Center at Dallas. She is currently Board Certified by the American Board of Internal Medicine. Dr. Chen was practicing as hospitalist and medical director in Denton, TX until 2013. She moved to Austin and joined Hospital Internist of Austin and continue to practice as hospitalist in North Austin area. She also served as supervising physician at several nursing facilities and mid level health providers. She was invited to be clinical assistant professor at Texas A&M University college of medicine since 2014. 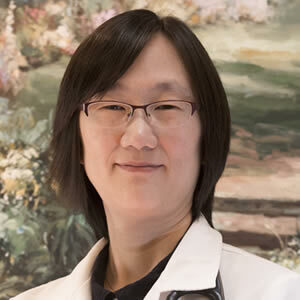 Dr. Chen moved back to North Dallas and joined at Plano Family Medicine in December 2015 to be close to her family. In her spare time, she enjoys outdoor activities with her 3 children. She speaks Mandarin, Taiwanese and English fluently. Call us or visit us if you have any questions. © 2018 Plano Family Medicine. All rights reserved.